Finally my secret is out and I can talk about it! 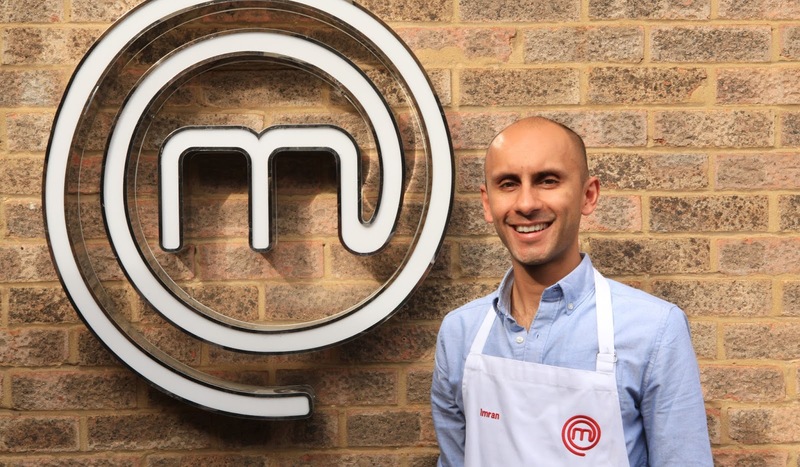 After being such a huge fan of MasterChef never did I think I would make the show! No one can really prepare you for entering that kitchen. The shock and awe, the dry mouth, the sick feeling in the pit of your stomach and the unmistakable surge of adrenaline. This coupled with the sheer excitement and realisation that you are here! 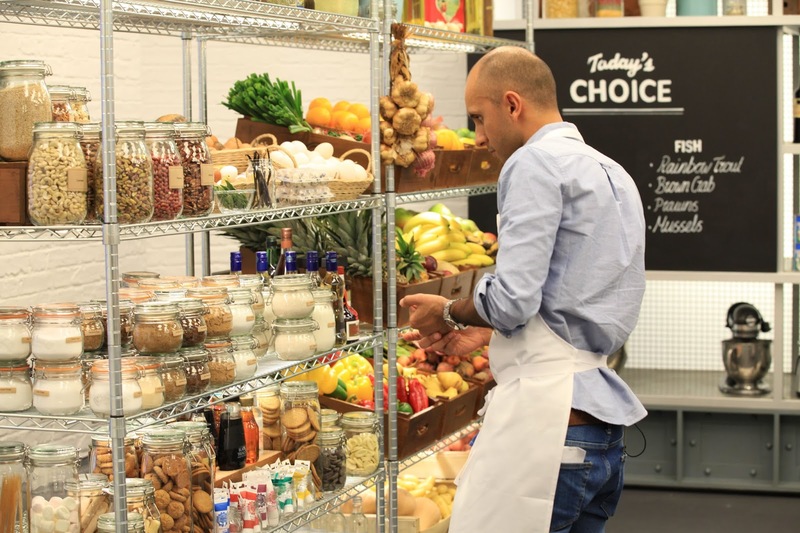 The first time you see us walk into the MasterChef kitchen is the first time we see the MasterChef kitchen! Everything has a hint of familiarity but still seems so alien, apart from the unmistakable figures of John Torode and Gregg Wallace. Whilst we were reeling from this we were welcomed then hit with the news that we would be taking part in the Market Place Challenge! 10 minutes to choose our ingredients from the plethora of amazing produce then create a dish, however it's a first come first serve basis! What! Mad panic then ensues, I recall grabbing a raw piece of duck breast with my hands along with several other random ingredients and making my way back to someone else's station! Fool! The chat with Gregg was a rather surreal experience too! The cooking you can practice but being interviewed is another kettle of fish! While John sort of hovered about sporting his characteristic facial expressions. Wild! It's funny you know what you do under pressure. The time pressure, the new environment, the unexpected challenge, the cameras and the unshakeable knowledge that this is going to be watched by my family and friends so you don't want to mess it up! This pressure had so much of an effect on me. Nothing can really prepare you for the critique. Taking your dish up to the judges, trying not to drop it or walk like an imbecile. Utter silence, then it begins. It's like no one else is there (in reality there are loads of people there!). In that moment your heart is pounding as they eat the food. They stop, your stomach twists then they deliver the verdict. For me I took all the points to heart and casually ignored any positive comments. You see this means so much to me, I want to do well, I wanted them to like it. In that moment that was the real me. Gutted by what they had said, you could see how much it means to me. Yes I was a bit emmo but that's just how it is. Then the agony of the wait. Essentially I just wanted to go home as soon as possible. I thought I had stuffed it up and that was it. After what seemed like an eternity they brought us in and praised the good cooks, said good bye to the one that they thought should not go through then spared the ones they deemed should have a second chance. Relief that I got through it, disappointment that I didn't do as well as I hoped and queasiness that I have to do it again! But this time we were cooking our food, I resolved that I would do better, I had to if I wanted to stay in the competition. The challenge was even harder, to cook from scratch eight plates of food in 1 hour and 15 mins for 3 previous MasterChef finalists including a previous MasterChef winner, what could possibly go wrong! Still unsure of the kitchen set up I just got cracking with my dish. There were so many elements to the first dish which was a main course that I concentrated all my attention on it. The chat with John and Gregg felt a little less strange and they both liked the sound of my food. Now it was down to me to get on with it and deliver! I was really happy with the main course, all ready and plated within the hour! Then that moment I've seen so many times before on TV when the contestant takes their plates into serve the previous finalists! Just so bonkers that I was now doing it! Main course done but not a hint of my dessert as yet! I had 15 minutes to cook and serve it and in reality I needed 25 minutes! So the pressure was really on. I really tried to crack on but as the pressure mounted I could really feel it slipping away from me. John and Gregg had a few choice words to say but I eventually got the desserts out, albeit not how I wanted to serve them and over time! I was spent! Then it was off to the chimney pot of doom (or at least that's what I call it)! Again never did I think I would be in that tower like room being interviewed after completing a MasterChef challenge. Slumped on an arch chair in the famous MasterChef waiting room with the rest of the contestants I felt better about this challenge than I did the first one. I truly had tried my best and had the opportunity to cook twice in the MasterChef kitchen. Even if I made it no further than this I was happy I tried. After the wait comes the decision, we once again lined up and waited for John and Gregg to speak. I thought I had prepped myself to just accept that I was going home after all in my mind the others had done better but suddenly my heart started to race, that surge of adrenaline I felt at the start of the day was back and my mind was racing. After each name was called I felt more and more on edge, surely I was going home today? Nope! In my utter disbelief and joy I had made it to the quarter finals! What! I was so happy, relived, tired and proud. I did it! I was now a MasterChef quarter finalist and that is a dream come true! 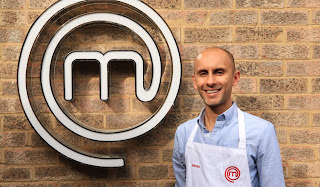 Watch me Friday night on BBC One in the MasterChef Quarter Finals at 8.30pm! New blog post to follow after the Quarter Finals.